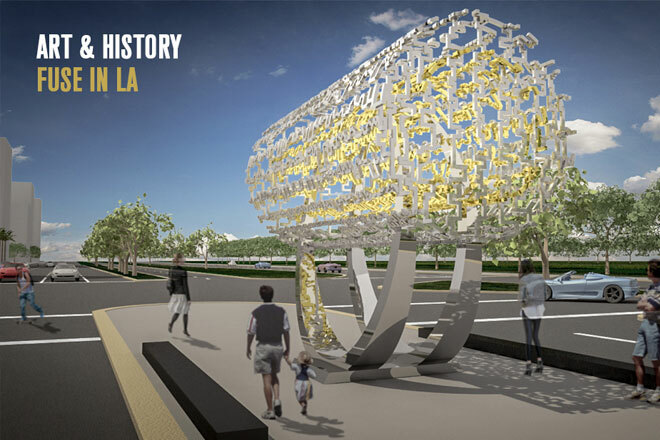 Balmond wins sculpture in City of Angels. The Farhang Foundation had a vision; to showcase a sculpture honouring the ideals of Cyrus the Great – a Persian ruler who championed the principles of religious diversity and personal freedom. Balmond’s winning design was the top pick from over 300 submissions by professional artists and architects. The sculpture takes its inspiration from the Cyrus Cylinder, a 6th century artefact containing one of the earliest declarations on human rights. Tolerance and freedom will resonate through the symbolic piece.